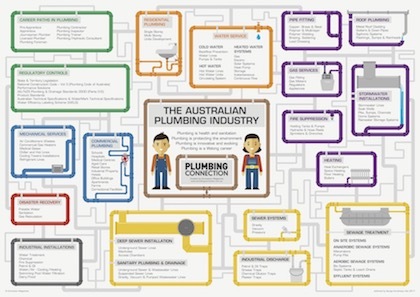 In our recent summer edition of Plumbing Connection we launched our Plumbing Industry Infographic poster, which demonstrates this industry in a new light. The feedback has been fantastic and everyone agrees it shows the complexity of the market segments that plumbers deal across. This poster makes a great talking piece to have on the wall of your boardroom or workshop lunchroom.